Home / Blog / VA Service Connected Compensation / What Happens When a Veteran Dies Before VA Decides the Vet’s Service-Connected Disability Claim? VA disability claims end when a veteran dies, unless someone “substitutes” in the place of the veteran. As a general rule, VA disability compensation claims and if a veteran dies while the claim is pending. However, if the veteran has a surviving spouse or child, they may substitute in the place of the veteran to take over the claim for the benefits that would have accrued through the date of the veteran’s death. Who is an eligible substitute claimant? one or both surviving dependent parents. The most common scenario is when a surviving spouse takes over the claim. Whoever takes over the claim can receive the veteran’s past due benefits. How does an eligible person substitute? The first step is to contact the VA and advise VA that the veteran died. This can be done by letter or by calling VA’s toll-free number: (800) 827-1000. Next, the person that once to substitute must complete VA form 21 – 0847 – Request for Substitution of Claimant Upon Death of Claimant. That form must be filed within one year of the veteran’s death. That does not mean it needs to be mailed. VA must actually receive the form within one year. The person who substitutes should then continue handling the claims. That includes filing timely appeals of any claims that were denied before the veteran’s death. For instance, if the veteran received a Rating Decision denying a claim or awarding benefits but at a rate that was too low, the person who substitutes must file a notice of disagreement within one year. There are other decisions in the VA system that must be appealed, and each type of appeal has a different deadline. 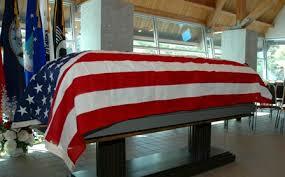 Anyone who substitutes for a deceased veteran must meet whatever deadline applies. Those deadlines are the same as if the veteran had survived. They do not get extended because of the veteran’s death. Can new claims be filed after a veteran dies? No. The law does not allow a new claim for disability to be filed after a veteran dies. If someone substitutes, how long are benefits paid? When a veteran dies, the maximum period of time that benefits can be paid will be from the date the veteran applied for benefits through the date of their death. Many people are under the misconception that a veteran can get retroactive benefits to the time they left service, but that is not the law. Also, the substitute claimant cannot collect continuing benefits. They may conceivably qualify for another type of benefit called Dependency and Indemnity Compensation addressed in the section below. Are there other VA benefits for widows and dependents? Yes. VA has a program called Dependency and Indemnity Compensation, often called DIC. Click here to learn more about widows and dependents VA benefits.